Insider trading is a crime & should be. Those who do it should be caught & suffer the consequences. It’s not fair to the rest of us individual investors or “Home Gamers”, as Cramer would call us. 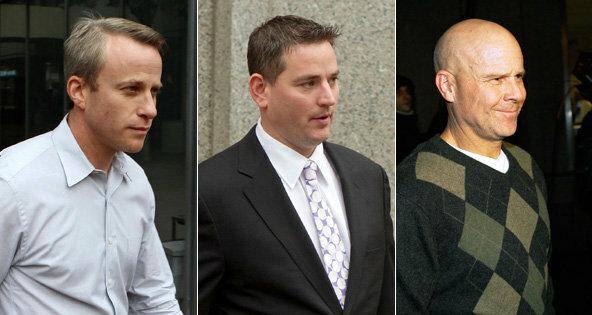 There have been many a high-profile insider trading case in the news. 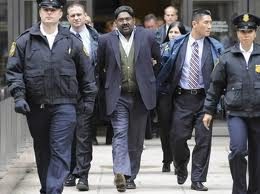 Rajaratnam (pictured here), poor Martha Stewart, Levine, Siegel, Boesky and Milken. More recently, (pictured below) James Fleishman of Primary Global Research, Zvi Goffer, a former hedge fund trader at the Galleon Group, and Craig Drimal, a former hedge fund trader and cohort of Mr. Goffer, all indicted for insider trading. What do all these scumbags have in common? Well, they’re all scumbags of course. What else? Yes, you got it. None of them are members of Congress or the Senate. Unfortunately for them, they are also not Congressional or Senatorial staffers. If they had been, they’d still be scumbags, but they would not be ex-cons, current cons, or soon to be cons. You see, members of Congress and their staffers are exempt from insider trading laws. How convenient. Just another example of “Do as I say, not as I do”. 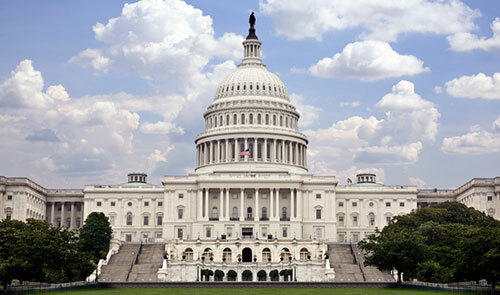 Congressional members have many opportunities to obtain nonpublic information that could affect a stock’s price. They may, for example be aware of impending tax legislation that will pass and which will affect a company’s stock positively or negatively. Similarly, they may be aware of imminent approval of a new drug or the award of a new government contract. A 2004 Georgia State University study revealed that Senators received annual investment returns 25% higher than that of average households. No doubt they are just better investors. This is not a Democrat or Republican problem. There are crooks on both sides. One example in 2009: Senate Banking Committee member Mike Crapo, a Republican from Idaho, was involved in discussing “stress tests” on banks such as Bank of America. His aide Karen Brown traded the company’s stock on several occasions in the weeks before May 7, 2009. When BofA surged thanks to a press release on its stress-test result, Ms. Brown made a nifty profit. In May a study of some 16,000 stock transactions carried out by House members was published in the journal Business and Politics. This detailed analysis showed that the investment portfolios of House members beat the market by about six points a year. (Democrats did especially well, outperforming by some nine points a year, while Republicans topped the average investor by only two percent annually.) Senators apparently do even better: “their portfolios show some of the highest excess returns ever recorded over a long period of time, significantly outperforming even hedge fund managers,” noted the journal, citing a previously published study. Every so often a group of lawmakers typically numbering in the single digits proposes that Congress be subjected to the same insider-trading laws as you or me. The proposals are always ignored. Not once has any such bill ever made it to the floor of either house. wouldn’t this be a great question to put to the field of republican candidates for president? i’d love to hear ron paul’s response!